The Victoria House Group was established in July 2006 at the Bromyard Road, St. John’s setting. Following this the nursery continues to grow due to popular demand for its child care spaces. The expansion of the nursery group has included further child day care settings, before and after school clubs along with a holiday club for the none academic weeks. The nursery settings provide care for babies from three months old to five year olds. The before & after school settings and holiday club provide care for children aged four years to eleven years. The environments are all warm and welcoming, and they provide a safe, fun, stimulating and educational time in the company of the Victoria House staff. Victoria House stands to provide high quality care. All settings follow the Early Years Foundation Stage by providing exciting and educational activities. All settings have received Ofsted reports which can be found on the OFSTED website. The nursery settings offer a lovely healthy three week menu for the children’s meal times at nursery settings, a morning fruit snack, a good lunch and pudding and a high tea in the afternoon. The before and after school clubs offer a variety of healthy breakfast choices and after school meals too. The settings cater for all diets and can offer an alternative menu. Both nursery settings & clubs have been awarded 5 stars ‘Excellent’ for ‘scores on the doors’ by the Local Authority Environmental Health Department. The nursery settings operate 51 weeks of the year, 07:30 until 18:00. 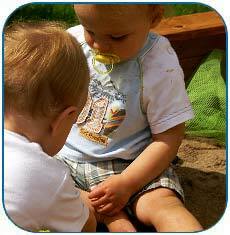 The nursery settings also offer sessions of care from 08:00 until 13:00 or 13:00 until 18:00. The before and after school clubs operate from 07.30 until school time and then from school finish until 18:00. Holiday club operates from 08:00 until 18:00.